She's Fantastic: The Clock is Running out for CLUB ETHERIA! The Clock is Running out for CLUB ETHERIA! 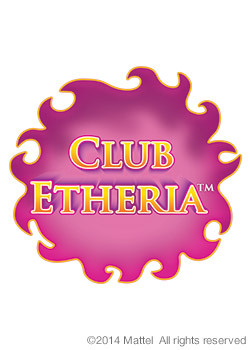 Today is the Last Day to Sign Up for CLUB ETHERIA! Let's Get This DONE! As many of you know, Mattel's collector line Masters of the Universe Classics has been one of the most prolific and fan-friendly toy lines of all time. Mattel has shown a dedication to produce as many of the vintage figures as possible, and as the line wraps up in the next few years (for no other reason than that they are out of characters! ), there is an extra effort to squeeze in all the remaining slots. If you do the math, producing all the remaining characters before the end of 2015 is impossible. 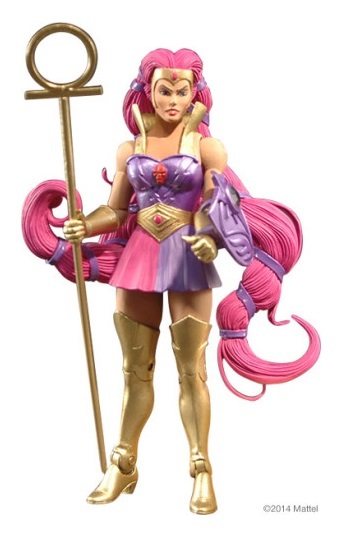 That's why the fine folks over at Mattycollector.com have created Club Etheria, a 2014 mini-sub featuring ALL She-Ra: Princess of Power characters. The sub will consist of Seven exclusive figures. 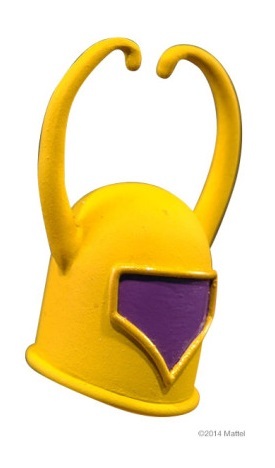 So far, five of those figures have been revealed: Double Trouble (Double Mischief), Madame Razz (with Broom), Entrapta, Light Hope (the subscription exclusive and only Male in the mini-sub), and Sweet Bee (only her helmet was shown so far). The sign-up period for this subscription ends at 11:59PM PST tonight! (March 10th 2014). While it has been made clear that if the minimum number of subscribers fails to be met we WILL still receive the already-revealed figures in the main Club Eternia sub in 2015, but it's also clear that if the sub fails then we won't be able to see the POP line completed. There are 25 vintage figures left from all the properties (He-Man, She-Ra, and New Adventures), but if this club fails, there will only be roughly 15 unannounced slots through 2015. Ten characters without a home, and you know a few will be POP. I always really disliked this character. I thought she was cheesy, I didn't like her color palette, and she just didn't fit in with the other Horde members. But this Four Horsemen design has made me a believer. I'm really really excited to get this figure. This photo is actually the wallpaper on my phone right now. The mysterious double agent. Turn the dial on top of her head and her face changes from good to evil. Apparently the name Double Trouble is copyrighted by a Skylanders character, hence the new (unrhyming) name. 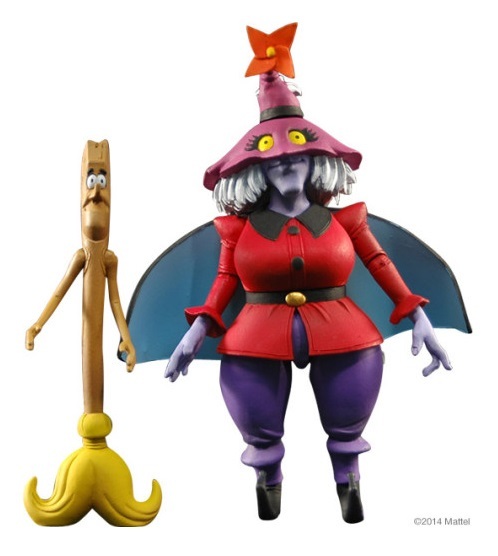 The "Orko of Etheria" makes her long awaited debut alongside her familiar, Broom. Another character I always found pretty annoying on the show, but I'm just dying to see how the Four Horsemen work their magic. I'll bet she's going to be amazing. Now onto some speculation... who might the last two Club Etheria Slots belong to?? I think this is the most obvious guess. There are two slots left in the club, one being a standard figure, and one being a "deluxe" figure that costs more because of her added tooling. I'm guessing it will be Angella with some amazing new wings. I would love to see how Mattel handles this character. I always thought she was so cool. 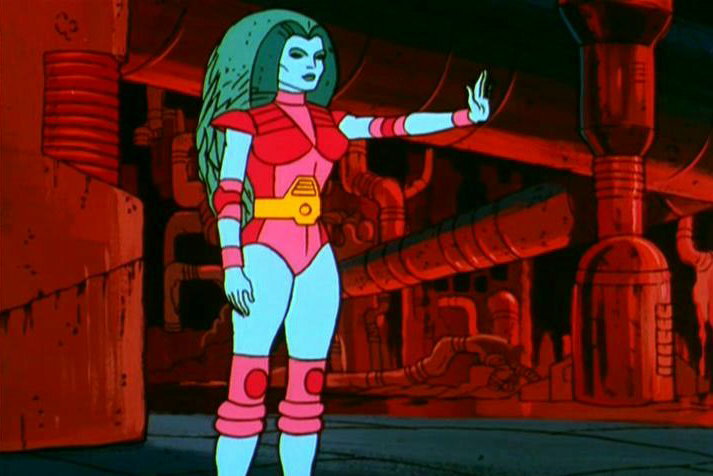 Plus green hair is actually a very unique trait in the MOTU world, so she'll totally stand out. Another character I have trepidations over. I think she's interesting, but I really don't like cloth on my toys, and I can't imagine how they would execute her ribbons otherwise. I never noticed until right now that her bodice design is the same as Flutterina's. A very simple and feminine design which I think the Four Horsemen will knock out of the park if given a chance. Unlikely since she has never been made into a figure, but kind of has a decent chance as far as popularity. 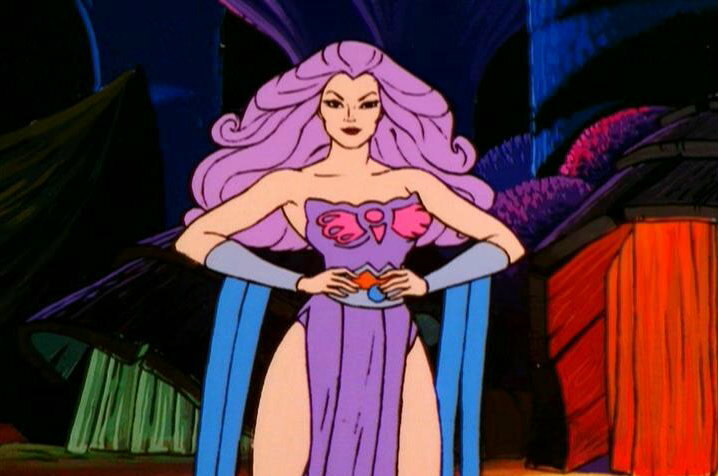 Plus I'm sure Eternia fans would love to add another character to the Rock People faction. What a total cheeseball beast. I love it though. Notice how I say "it." Clawdeen's gender has always confused me. The toy looks distinctly feminine, but it's clearly a male lion. The cartoon version actually looks like a male, if you overlook the name and pink hue. Look how lonely they are! Subscribe Now! Get 7 She-Ra characters delivered to your door monthly! Please! I need more toys! The sub was at 77% on Friday so hopefully all goes well. Scott confirming Mermista would not be appearing in the sub also makes me think they have already hit the number they need. Spinnerella, Peekablue & Perfuma have a good chance of appearing in the sub. I'm sure they will look fantastic, especially Peekablue. 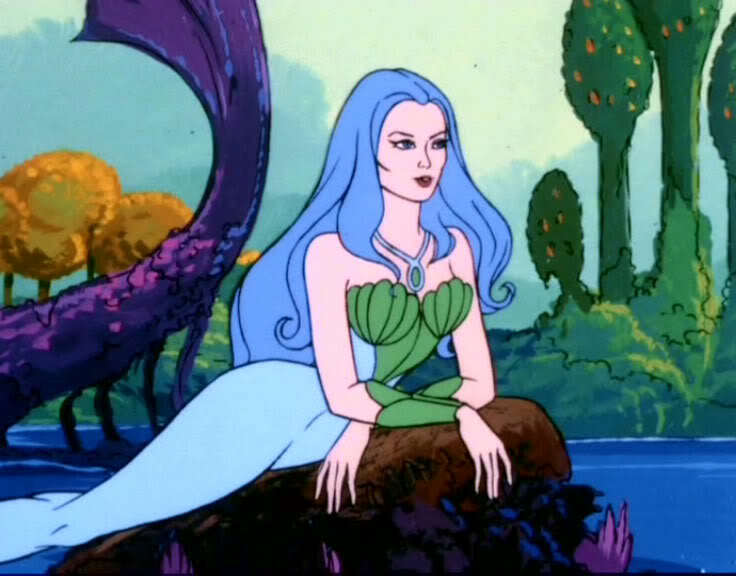 Angella would be awesome too but I'd say, like Mermista, she is popular enough to be in the main sub. Do you think Spinnerella's tooling is enough to warrant a deluxe figure though? That's what's confusing me.. I thought for sure it would have to be Mermista or Angella. I liken any additional Spinnerella tooling to be about the same effort as Netossa's cape. Peekablue might be as tooled as Sorceress, but that still wouldn't warrant a deluxe. Maybe someone is coming with a big accessory? 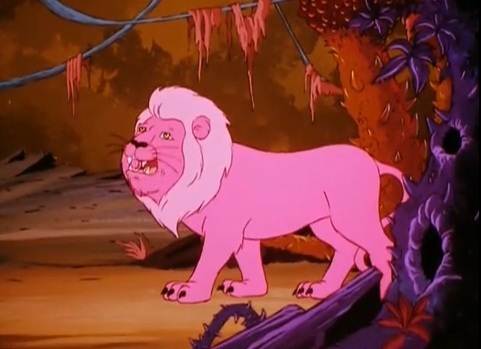 Like Catra in Panther form (cringer-style)? I don't know.. either way I'm excited. VERY glad the sub squeaked through! I think Perfuma is a shoe in for another slot. The $30 girl. Hmmmm maybe Huntara with Peekablue in the normal sub Scott said there was one more POP spot left for this year. We wont find out til the summer though. Love the blog. Thanks! I love my readers too :) You're totally right about Perfuma. The more I think about it, the more I realize that they are going to give us the characters that POP-haters are least likely to accept in the main sub. 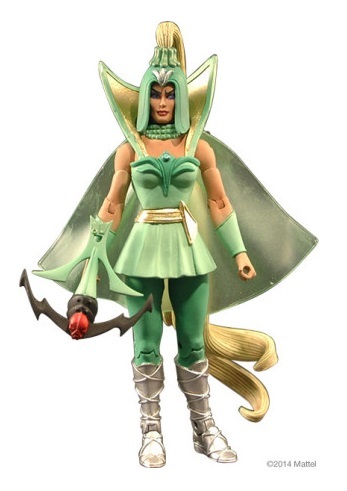 I hope huntara ISN'T in the sub since I thought she was already slated for the Club Eternia.. and I'd hate to lose a lady slot due to re-shuffling. If Perfuma smells like flowers I am going to hate it... give me skunks and moss anyday, but flowery smells make me gag haha. Soo happy the sub made it! Re: the $30 figure - Toyguru said she isn't a deluxe figure as such, just a character who didn't quite cost out at the $25. Makes me think it might be Peekablue as she would need lots of deco on her feathers. 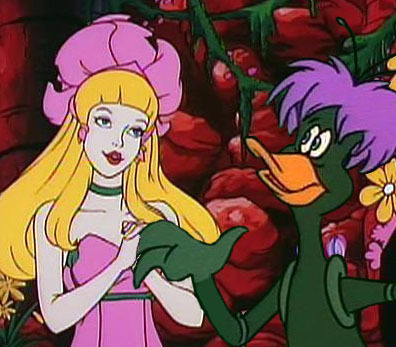 Actually I really hope they go with the more simplified filmation feathers for Peek-a-blue. That zig-zag style from the toy design always looked awkward to me. I'm really temped to go to SDCC now to see the reveals firsthand. Maybe the $30 will be Granita... the mini sub is pretty much the only way we're going to get any more unannounced filmation characters. I fear one of the slots is going to be a variant figure. I will not be pleased if we lose out on a new character for a redeco. I don't mind the crazy feathers of the vintage toy. With Flutterina they decided to use the toy deco for the wings as it is more colourful, I'd imagine they'd do the same with Peekablue. 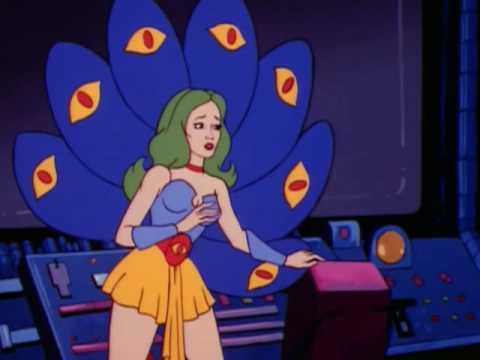 The fans may think they were too simple with the Filmation deco. Don't quote me on this but I think ToyGuru said the remaining characters aren't necessarily from the vintage toyline, so Granita would be in with a good chance. Her rock attachments, & the deco on her rock pieces, would qualify her for the $30 slot. It would be awesome to finish the Rock people. I know you're probably right about the peacock deco being based on the toy, but i'm not looking forward to it. I think the zigzags really distract from the eyespots. Granita is my best guess for the $30. Maybe she'll even come with a pack-in Facet like Tin came with Platinum!